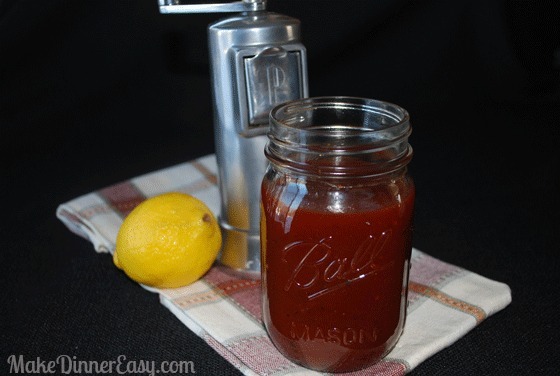 Here is an easy homemade barbeque sauce recipe that you can even make in advance and freeze. The best thing about making it yourself is that you can adjust the seasonings to your liking. I will admit my kids a big fans of Sweet Baby Rays BBQ Sauce and many of my recipes call for bottled sauce just to make life a little bit easier. However, on occasion I do like to make my own sauce and this recipe is adaptable if you need to modify it for dietary needs or just to suit your taste buds! Combine all of the ingredients in a large stock pot. Bring to a low boil and then reduce heat. Simmer for about 30 minutes stirring occasionally. Can be kept in the refrigerator for about 1 week or frozen in smaller batches if desired. Now that you've made this great sauce, here are some ideas for what to use it on. 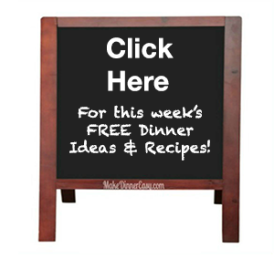 Some of these recipes call for bottled sauce or a homemade sauce, for which the ingredients are listed within the recipe. However you have some homemade sauce in the fridge you could easily use that. Another fan favorite in my house is BBQ Chicken Quisadillas. I usually have some chopped up rotisserie chicken in the fridge or freezer and I just warm it up in a pan with a few Tablespoons of barbeque sauce. Then, place a tortilla in a pan, sprinkle some cheddar cheese on top, some warmed saucy chicken, a bit more shredded cheese on top and then another tortilla. Cook on low and flip after the cheese has melted slightly. Cut into wedges and you've got an easy and delish snack! 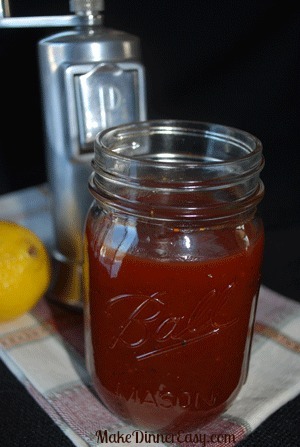 Substitution Suggestions - Make This BBQ Sauce Recipe Work For You! This is one of those recipes that you can experiment with. If you want a bit more heat, add some cayenne pepper. You will note that there is quite a bit of sugar in this recipe. You could try reducing some of the brown sugar and adding stevia instead. If you are observing passover you could use passover soy sauce instead of Worcestershire sauce. Do you have other ideas of how to doctor this sauce up, or how you make your sauce special? Please add any comments in the comment section below!